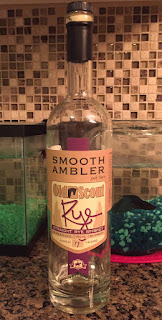 The Smooth Ambler Old Scout 7 Year Rye had eluded me for quite some time. While it was supposed to be generally available, I simply hadn't seen it in the wild anywhere. Having heard good things about it, I always kept an eye out. I ended up finding it at a local higher-end grocery store called Mariano's. 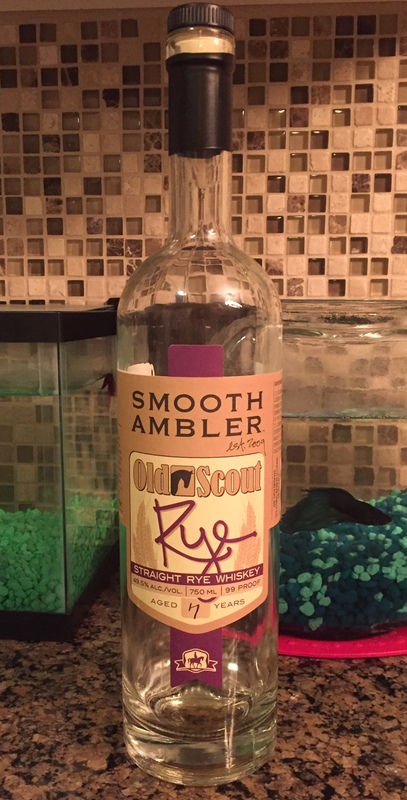 Among their whiskey selections were a number of craft options the likes you don't find in most grocery stores, and there, at a cool $40, were a number of bottles of the Old Scout Rye. It only took me half a second to grab one and head for the checkout line. The nose is a traditional rye spice, with some vanilla and pepper and a bit of cherry to it. On the first sip I couldn't help but notice how smooth it is. It's 99 proof, but had very minimal burn. The flavor was all dark fruits and spice. It was like a mix of cherry and plum with cinnamon. It also had a nutty, pecan flavor behind it. I found it to be incredibly tasty from the first pour. Perhaps it was the bottle, perhaps it was me, or perhaps it's just a complex rye, but while the cherry flavor stuck around, as I made my way through this bottle, the cinnamon and nut flavors were muted and a distinct coffee flavor came to the forefront to mix with the cherry, along with a chocolate undertone. This cherry and coffee mix was really interesting, and the differing flavors continued to hit my tongue in waves, even if they were different than on the first pour. This is a very warming rye, certainly spicy, and would be very good on a cold winter night. I happened to enjoy this bottle over the summer, and, don't get me wrong, I absolutely enjoyed it on warm summer nights, sitting on my couch in the air conditioning.